"New camera feed up and running!" Meghan J. "Valkyrie" Castellano is a Defending Operator and Intelligence Officer from the American Navy SEALs. Extremely driven, Valkyrie knows how to stay focused and will do whatever it takes to complete the mission. 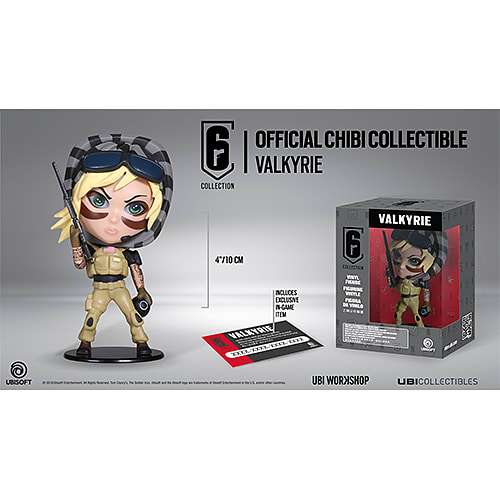 Equipped with three Mk2 "Black Eye" Gyro Cams, sticky cameras that can attach to almost any surface, you can guarantee that Valkyrie has her eyes on you!